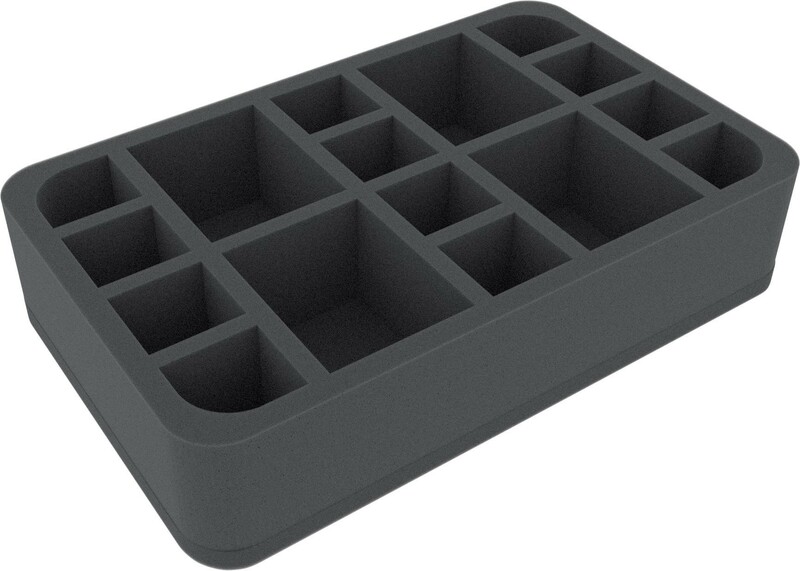 Foam Tray with 16 slots, 4 of these are for large models. 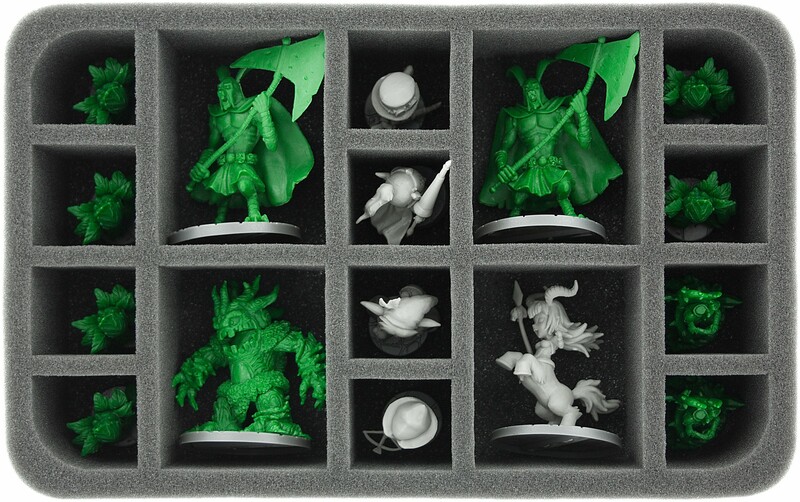 Special Foam Tray for 16 Super Dungeon Explore figures. 4 of these are for large monsters.